Blend all spice paste ingredients until very fine. Add 2 tbsp oil to a heated frying pan, add blended spice paste and cook until it is aromatic and bubbly. Stir constantly. Add remaining ingredients and cook until the sauce bubbles again. 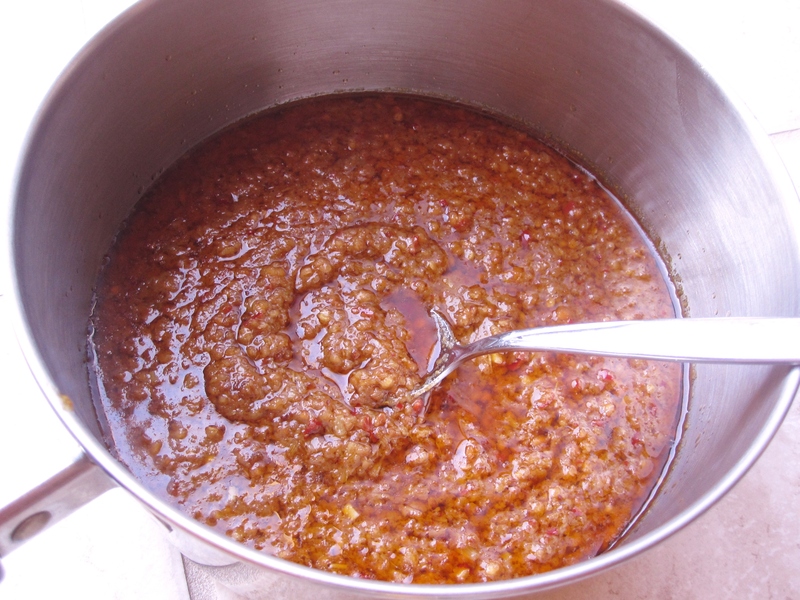 The satay sauce should taste sweet and a little tangy from tamarind juice. Adjust amount of sugar, tamarind juice and salt accordingly. The sauce will thicken when it cools.